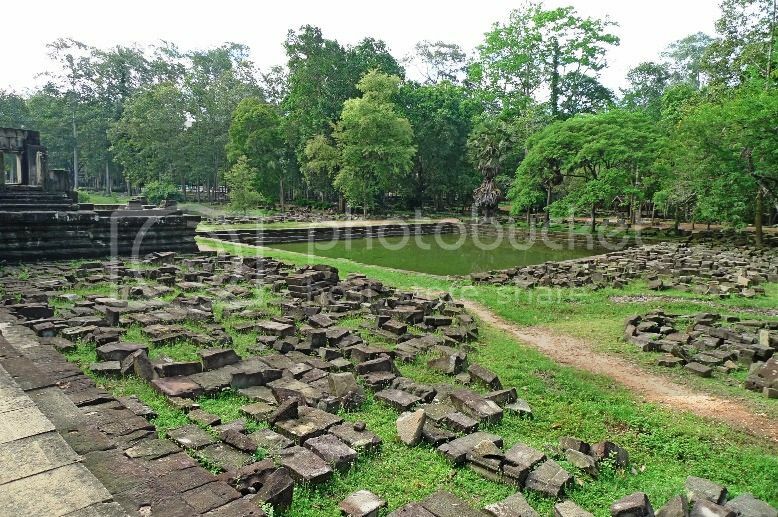 On my second day in Cambodia, I visited Baphuon which is located inside Angkor Thom. 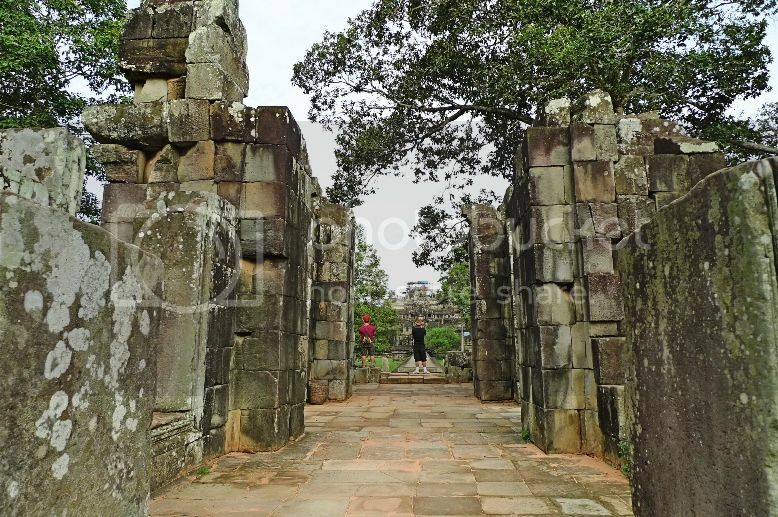 After entering Angkor Thom via the South Gate, our driver Xiao He drove Jam, his friend and I to Baphuon. 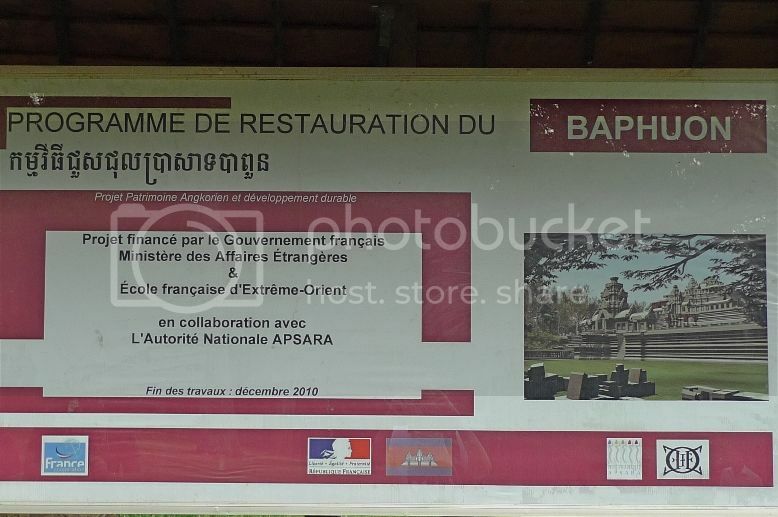 According to the signboard, Baphuon was undergoing a restoration project sponsored by the French Government. 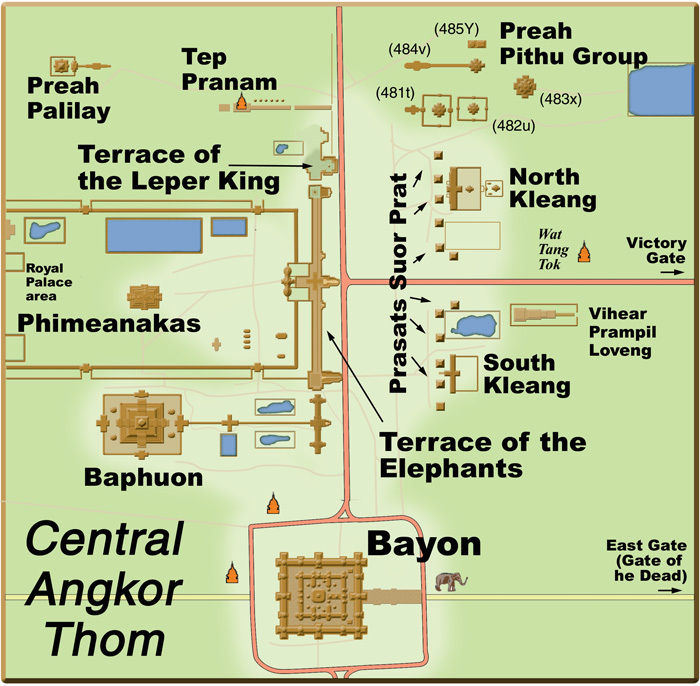 From the map below, you can see that Baphuon is located just northwest of Bayon, which we visited the day before. 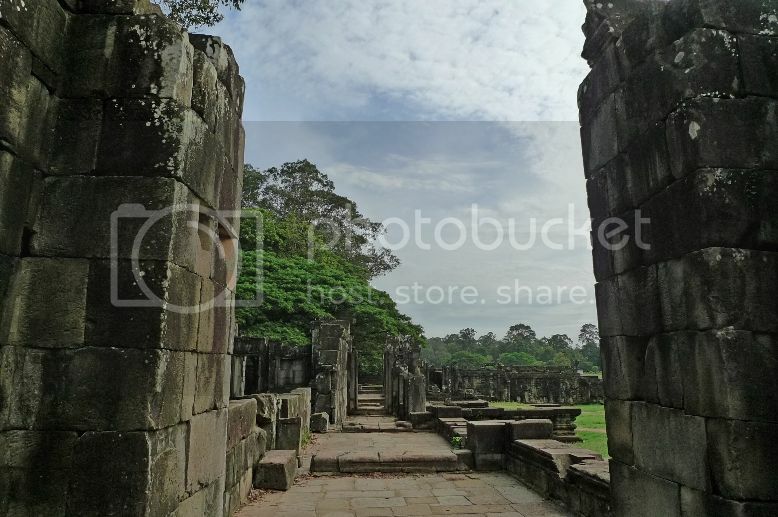 Baphuon is actually a 3-tiered temple mountain built in the mid-11th century by King Udayadityavarman II according to Baphuon architecture style. 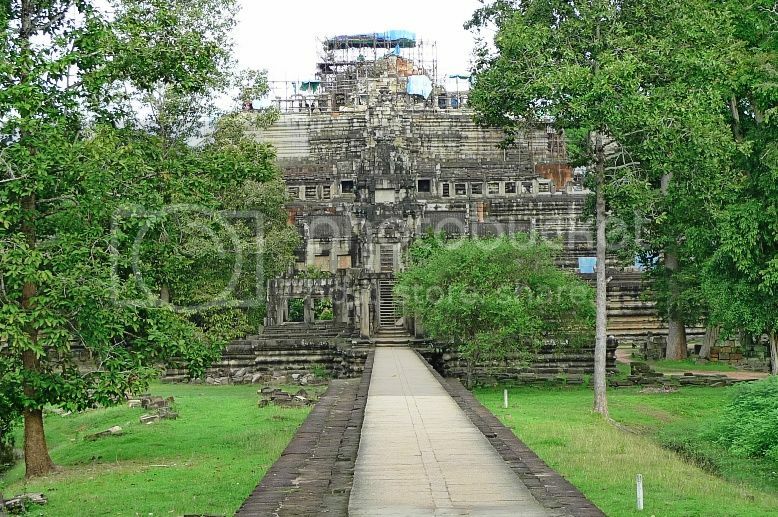 It was used as a state temple by the King and was dedicated to Hindu God Shiva. However, it was converted into a Buddhist temple in the late 15th century. A reclining Buddha was said to be added to the temple. Unfortunately, we did not get to see any reclining Buddha. 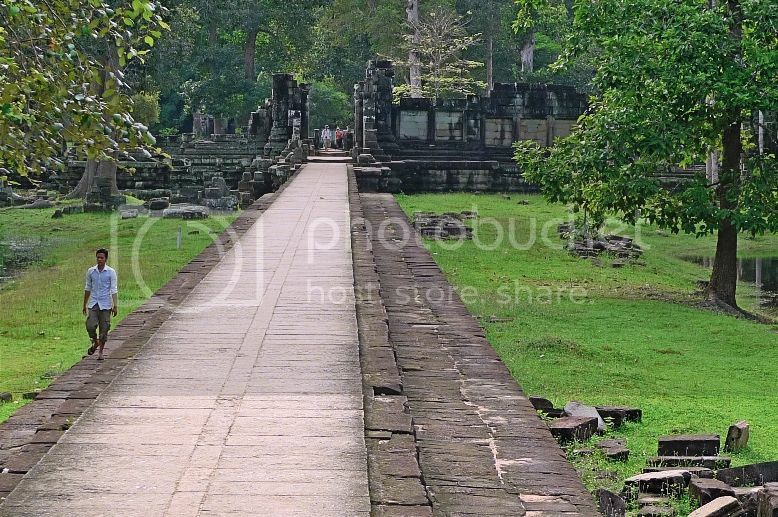 Walking along the long causeway, we could see that the temple proper was under heavy restoration and was off limits to tourists! 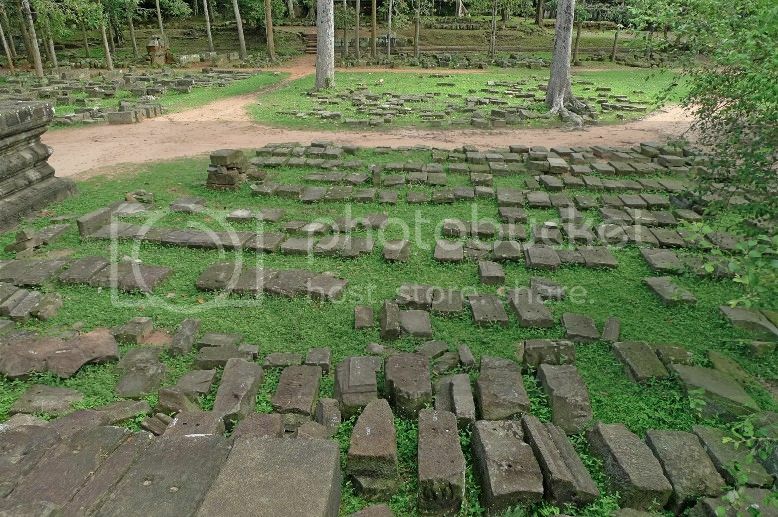 Apparently, Baphuon was built on land filled with sand. Because of this, the temple was unstable throughout its history. 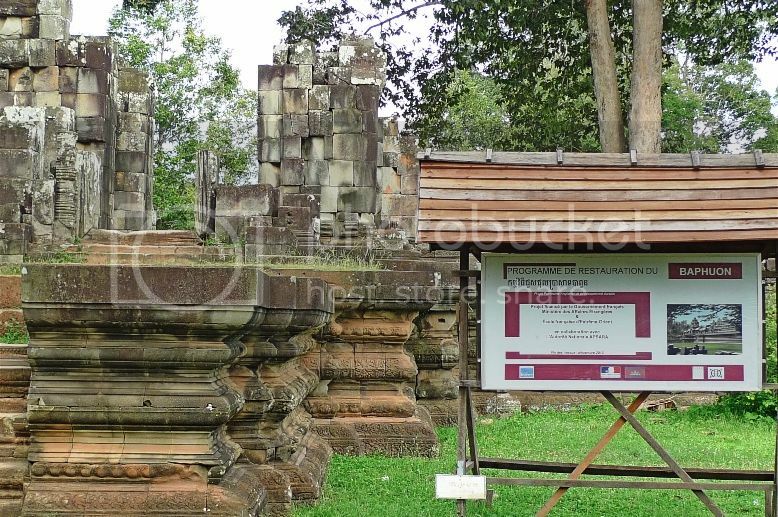 A huge part of Baphuon had already collapsed and main temple in the third tier was undergoing massive restoration works. 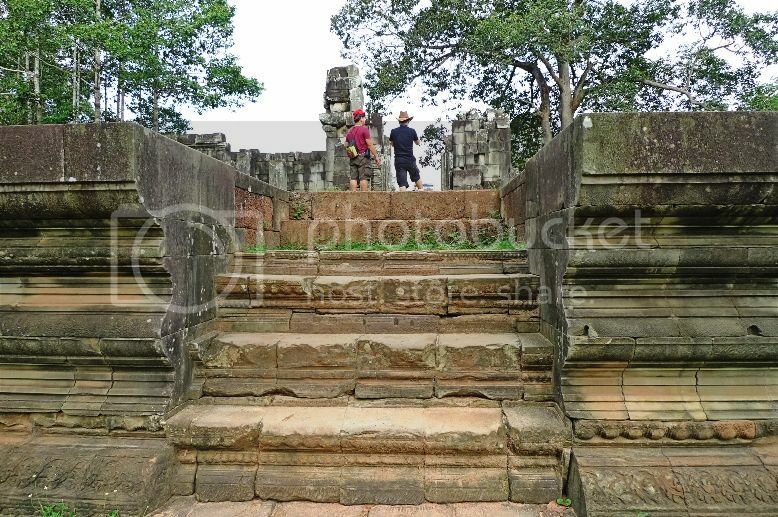 Tourists were still allowed to visit the first tier and part of the second tier so that was not too bad! Rocks could be seen scattered around the area. These rocks were used in the ongoing restoration process. 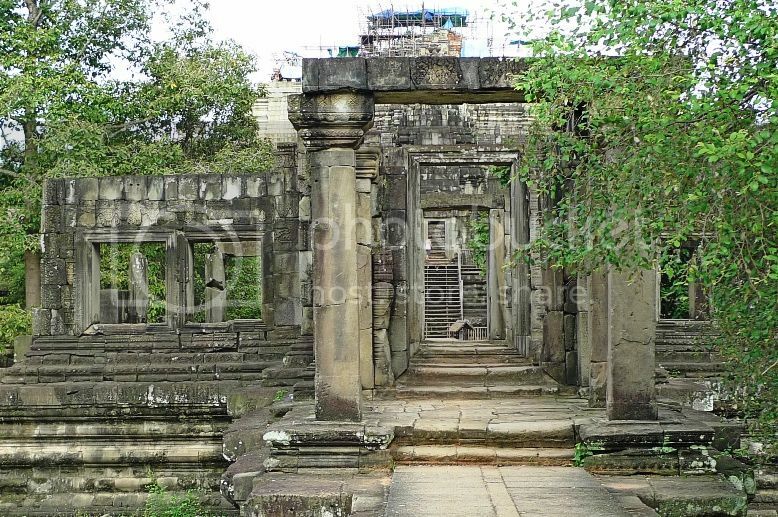 The first effort to restore Baphuon in 1960 was interrupted by the genocidal reign of the Khmer Rouge. The second effort led by the French team in 1995 was still ongoing during my visit there. However I just discovered the good news! 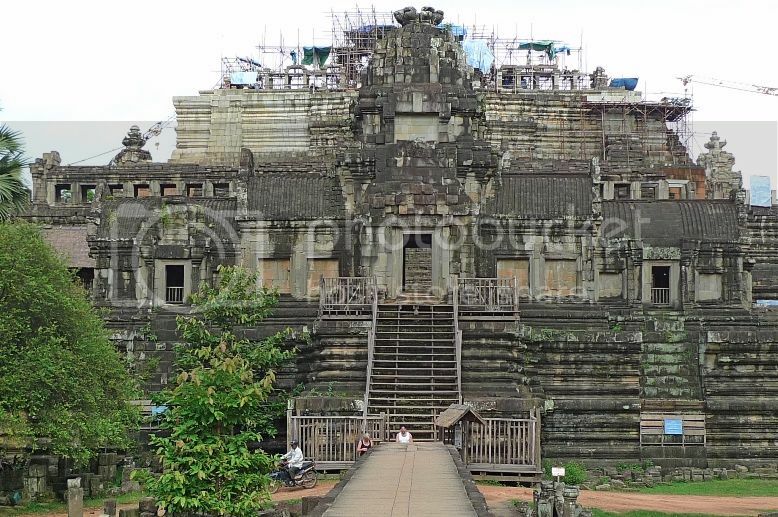 - After almost 51 years, in April 2011, Baphuon was finally fully restored and is now a major tourist attraction in the Angkor Wat Archaeological Park! 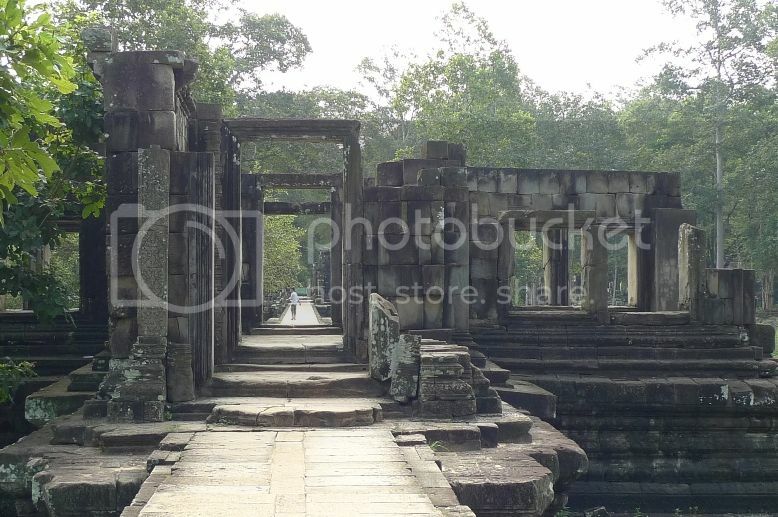 Perhaps I will fly to Cambodia again to visit Baphuon Temple in the near future. Meantime, if you want to see how the actual Baphuon temple looks like, watch this amazing animation of the Baphuon temple in 3D!